Now is the time to buy these Anker ZOLO Liberty+ Total-Wireless Earphones. We were not fans of the original price point which was hovering around the Apple Airpods, but with the Amazon sale currently going on, the price point is now at the hot spot for these quality totally wireless ear buds. These are currently sitting at a price which make it a better buy than any other totally wireless earphones product. Anker has been my go-to vendor for all my USB cable needs. I have been a victim to skimping out on my cables, then paying for it when my device gets damaged. Anker has spread its know-how to other sectors like speakers, projectors and headphones. ZOLO is Anker’s branch that creates affordable quality sound products. We’ve been impressed by many of the products coming out of Anker’s new innovations. Wireless earbud technology is nearing the end of its first generation. Spearheaded by the beloved first generation Apple Airpods, many other companies started offering competing products into this pseudo-niche market. 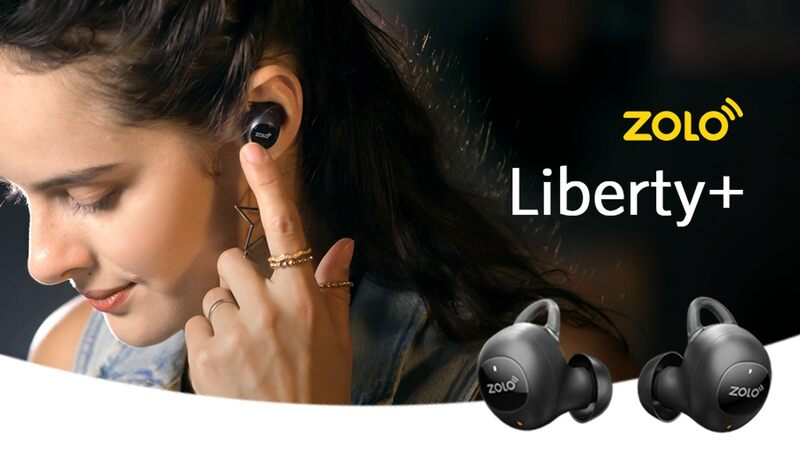 The ZOLO Liberty+ Earphones were introduced into a market with the already-dominating Apple Airpods. Anker produced these in-ear earphones with 6mm graphene sound drivers. A larger sound driver typically means that the earphones are able to push more air and therefore produce a deeper sound. Smaller drivers typically produce a more tinny quality. Sound quality does not stop there, however, as there are a greater number of factors to take into account. These ZOLO Liberty+ earphones were tuned to produce more mid to high leaning sound. A greater seal would produce more punchy lows where your mileage may vary with your ear canal fit. One of our larger issues was the seal. There is a perfect science to producing an in-ear headphone that balances a snug versus loose fit. Anker includes a great deal of customization options for achieving a desired customized fit. My greatest qualm was not being able to achieve my personal preference of snug and secure. Of course, this greatly depends on the ear. By including 4 various sizes, Anker is trying to appease the majority of its customers. Instructions were included on how to lock these earphones into place, but some folks will just have weird ears that do not work. 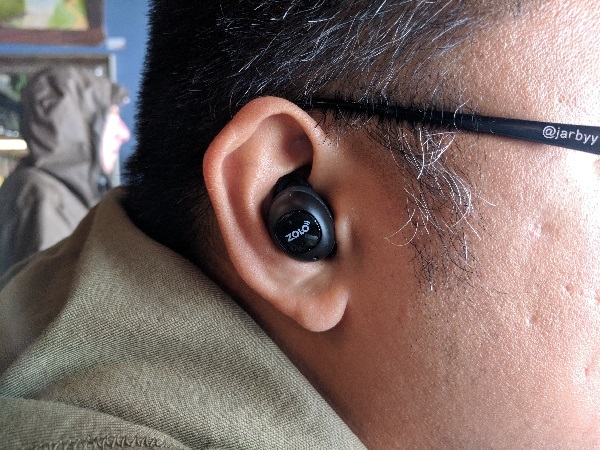 With my weird ears, I was able to walk on the street with music playing on my ZOLO Liberty+, but with the mild concern that they would fall out. When the sound quality went tinny, I knew that the earphones’ snug seal was dislodging itself. It happened quite often, but as with all customized fits, your mileage may vary. I used these earbuds for my daily walking commutes for about 60 minutes at a time. The Bluetooth connectivity uptime wasn’t always pretty, where I experienced frequent dropouts. I do have an explanation though, so the experience will not be the same for all. 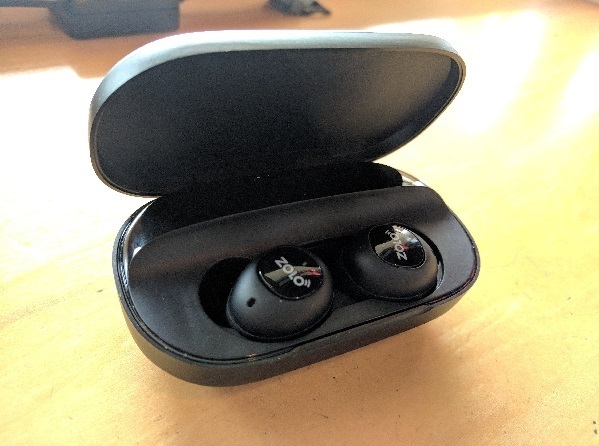 These wireless earbuds use a master/slave configuration, where the right earbud acts as the master. For those that keep their cell phones in their left pockets, you force the Bluetooth signal to pass through your body to your right ear. Shortly after each dropout, I would lift the phone out of my pocket and the connectivity would resume. Those right pocket cellphone wearers would probably not have this drop out issue. Nonetheless, I get seamless Bluetooth connectivity when I do not force the signal to pass through my body. The carrying case is sleek. It’s not the smallest carrying case around, but there are 48 hours of total battery life contained in the case. I can attest that these will last for a whole weekend’s worth of use. The sleekness of the case is derived from its magnetic latching lid and magnetic earbuds charging grip. When putting away your earbuds, you get that satisfying magnetic click with a charging light to reassure you that these will be charged by the next time you use these. While out of the case, the earbuds are advertised to last 3.5 hours. That should really be plenty for most. The ZOLO Liberty+ is rated at IPX5 which means some resistance to water like sweat. While these earbuds would not be able to survive falling into water, it should be able to withstand sweating it out at the gym. My ZOLO Liberty+ is still in a top-notch state from multiple gym trips a week. The ZOLO Liberty+ touts a feature called Audio Isolation. It pretty much assumes that you have a perfect seal around your ear canal so that you would have difficulty hearing outside sounds. When toggling the Audio Isolation feature, each earbud activates a microphone that channels outside noise into your ear. This would usually be great for walking awareness, but in all actuality, this is an awkward feature. The reproduced audio into your ear just sounds like you are listening to the world with a low-quality speaker to your ear. Worst yet, this feature is totally useless when there is wind blowing. Do yourself a favor, and just forget this feature exists. I truly feel that these wireless earbuds are a great buy at $99.99. Despite some of the minor issues that we’ve experienced, it pays to be truly wireless, and this is the price point to get in on the action. Anker typically sells predominantly through Amazon, but we’re not sure how long this price will last. As of September 11, 2018, you are still in luck. So get going. The post ZOLO Liberty+ earphones lowest price we’ve seen on Amazon now appeared first on Nerd Reactor.